ON WEDNESDAY, July 18, the Manitoba government outlined key components of its recreational cannabis regulatory regime -— one of those being the Social Responsibility Fee (SRF), which will be imposed on all licensed pot retailers in the province. Now I am the first one to question ANY new taxes and / or fees, however this is one which I can embrace fully. That’s because the Government of Manitoba has indicated that revenues generated by the SRF will help fund social costs associated with the legalization of cannabis. As of Oct. 17, the sale of legal licensed pot will come into effect. That being the case, then we in British Columbia need to have the same foresight as legislators in the province of Manitoba. Much like the use (or perhaps better stated misuse) of alcohol, drugs and psychotics like heroin, crack, misused prescription drugs, crystal meth, and cocaine … the use and misuse of pot can also have SERIOUS side effects. And despite the fact that many claim cannabis is safe, and we need not worry, there are warnings that should be heeded. The government of Canada, itself, states that the consumption of cannabis, like alcohol and tobacco, poses a number of health risks. 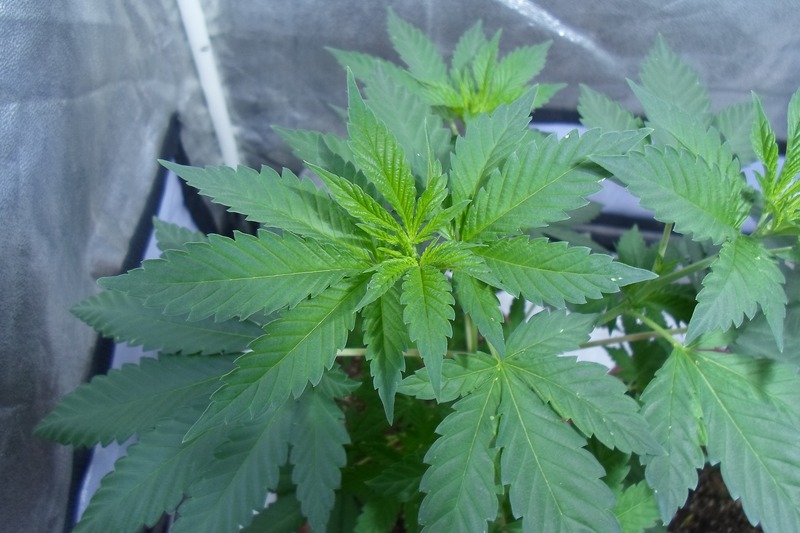 The website Cannabis in Canada, Get The Facts, says that women who are pregnant or breast feeding can put the fetus or new born child at risk. Heavy cannabis use has also been linked to lower birth weight, and there may also be other health risks associated with cannabis use during pregnancy and breastfeeding. And, of course, at any age, cannabis use can affect how the brain functions, especially those under the age of 25 as the Canadian medical community pointed out to the government during the process to bring about the legalization of pot. Given this, I believe we in British Columbia need to have a program similar to Manitoba’s Social Responsibility Fee. I am concerned, however, that we do not appear to have anything currently in place (or on the horizon) with regards to the aspect of social responsibility, and the protection and well being of users, their families, and the community at large. 3) supporting the key priorities of restricting access to minors, eliminating the criminal element, ensuring health and safety standards, and providing public education. Okay … all good stuff, however none of that actually speaks to generating the revenues needed, to work on improving societal issues that stem from addictions. Where is B.C.’s Social Responsibility Fee? News regarding Public Safety around cannabis has all kinds of information to do with licensing, sale and control, distribution, amendments to the motor vehicle act, safety policy decisions and more — BUT — where is the news and information about services, and aid, the B.C. government will provide for those who for whatever reasons use, and then misuse, legal cannabis and other addictives? Where will the money be for that! In a 2012 study (can’t find anything newer), researchers from the University of British Columbia, along with Simon Fraser University, sought to discover the value from illegal pot sold in our province. At that time, they calculated marijuana sold on the black market generated roughly half a billion dollars a year. That’s Five Hundred Million Dollars! Just calculating a seven per cent provincial sales tax on the sale of cannabis, based on that figure — never mind any additional so-called ‘sin-taxes’ … the B.C. government will generate revenues of $35 million alone. In Manitoba, however, they will have a nine per cent tax at the wholesale distribution level … a mark-up of 75 cents per gram … along with a “social responsibility fee” of six per cent to be applied to a cannabis retailer’s total annual revenues. As I stated at the beginning of this piece, ‘I am the first one to question any new taxes and fees’. That said, ensuring the well-being of the people of B.C., especially those suffering from additions — must become a serious priority for our government. And, it must be funded in a way that will actually see positive results achieved. Addicts need to be able to access services as soon as they themselves decide they’ve hit rock bottom, and can’t live that lifestyle any longer. Having to wait for medical care … recovery beds … counselors … medical staff … medications and the like, can no longer be allowed to happen. There can’t be an Oh, I’m sorry but all beds are in use … or… I’m sorry but no counselors are available … or anything else of that nature. Someone with addiction issues doesn’t have three months, orsix6 months, to wait. In most cases they don’t even have a day. Earlier this month the government of B.C. announced a protective umbrella of wraparound services designed to support patients, no matter where they are on their journey to wellness and hope, to be located at St. Paul’s Hospital in Vancouver. In reading about this mental health and addictions care model, it seems like it should be a model employed throughout the province. To do that, however, revenues will need to be directed towards programs that are able to mitigate issues caused by a dependence on addictive substances, and situations. In other words … the human carnage that arises from the sale of drugs, alcohol, cigarettes, and even gambling and lottery products. I can hear some already saying, “But this problem may only impact a small segment of British Columbians.” Never the less, the long-term costs to society (in not helping them), will always be far greater than providing what is needed in a well-timed, dependable, and consistent manner. The money required for that, though, cannot simply be sourced from General Revenues. Priorities can change, and so can existing program funding. A dedicated long-term funding stream needs to be established before the government gets too comfortable with the new tax revenues they’ll start enjoying once the sale of legal cannabis begins. Keep in mind, however, government will need to maintain existing financial resources being used now for health services. What I am speaking of must be NEW MONEY from a Social Responsibility Fund, similar to that being implemented by the government of Manitoba. Anything less than that, and we will not be able to make any claims of having care or compassion for those lost in addiction. In attempting to get information from our provincial NDP provincial government (Honourable Adrian Dix, Minister of Health and the Honourable Judy Darcy, Minister of Mental Health and Addictions) … and even our local Kamloops MLA’s (Todd Stone – Kamloops-South Thompson and Peter Milobar – Kamloops-North Thompson) … I have yet to be able to find out what NEW dedicated funding is being considered for the services I have indicated are needed now. Services which will be needed even more in the days, weeks, and months following the Oct. 17 date for the legalization of cannabis. While what I’ve had to say may not sound like a conservative philosophy to you, remember I’ve already indicated I belong to an important (and what I believe to be a majority) segment of the conservative movement, the one with a social conscience. And that my friends, is something that those on the left fail to acknowledge exists. Care … or hopelessness … which one will we as British Columbians demand our government provide? It’s your turn now, to have your say, and I look forward to seeing your thoughts below in the Comment section. 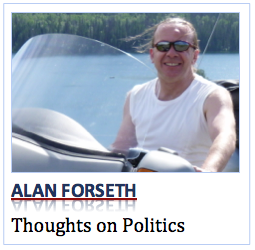 Alan Forseth is a Kamloops resident and former member of the Reform Party of Canada and the B.C. Reform Party, and a past and current member of the BC Conservative Party. His blog is My Thoughts on Politics and More. So we can get behind a tax on the “killer weed” to mitigate the damage caused by drug use, mean while we supply needles and safe injection sites for junkies? Where was all this social responsibility when alcohol was destroying lives and families for decades? The levels of hypocrisy being displayed by all levels of government in regards to marijuana “legalization” amazes me, when will they be honest and admit they just view pot as new Avenue of tax income.